When it comes to exercise training there are some people who seem to think they know it all. The truth is that there are many fitness myths making the rounds. Some of these myths are simply funny while buying into others can put your health at risk. 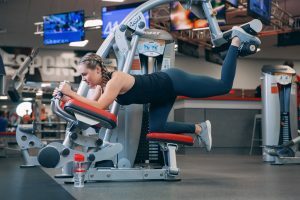 Attend high-intensity exercise classes in the Phoenix, AZ Valley and you might feel a little sore afterward, especially if you haven’t worked out in a while. While muscle soreness does accompany working out, not all muscle pain should be ignored. It could be a sign that you tried to do too much too fast or that you performed the exercise incorrectly. If the soreness doesn’t go away after a day or two, check with your doctor to make sure you didn’t injure yourself. The human body needs fat to survive, but that doesn’t stop people from trying to cut all fat from their diet. If you really want to lose those extra pounds on your thighs or get rid of those love handles, add weight training to your fitness routine. Muscle burns more fat than just cutting fat out of your diet and you’ll be healthier in the long run. If you’re new to weightlifting, try out exercise classes that incorporate weight training in their sessions, or take advantage of your free fitness consultation with a Personal Trainer. As far as diet is concerned, cut out unhealthy fats and add healthy fats into your diet like nuts, fish, and olive oil. Have you heard the rumors that strength training will bulk you up? If you’re a woman, you’ve probably heard this time and time again. The truth is that women won’t get big and bulky with strength training. Instead, they lose stubborn fat and get definition. Women don’t have enough testosterone to build muscle like men. So, if you’re a woman who wants the lean, strong look that lifting weights gives, go for it. While you can join a strength building exercise class offered throughout the Phoenix AZ Valley, don’t be afraid to try the strength floor. With a variety of strength training equipment available for all levels, you can start with our selectorized machines like the Hoist Roc-It series and build your way up to free weights. Also, don’t be afraid to lift heavy weights. Show off your muscles and be proud of your strength. Everyone has been here at one time or another. Maybe you’ve finished a few tough workouts at Phoenix, AZ, fitness centers and decide to treat yourself to some fast food. People who regularly treat themselves to high-calorie meals after a workout don’t see the results they want. In fact, they often give up on their fitness goals because they aren’t seeing these results. The truth is that working out doesn’t give you a strong, healthy body alone. You must adjust your food habits to see long-lasting results. Healthy eating and regular exercise is the key to a leaner life. Do you have questions about getting healthy and working out? Stop by Mountainside Fitness for the best exercise training in Phoenix, AZ. 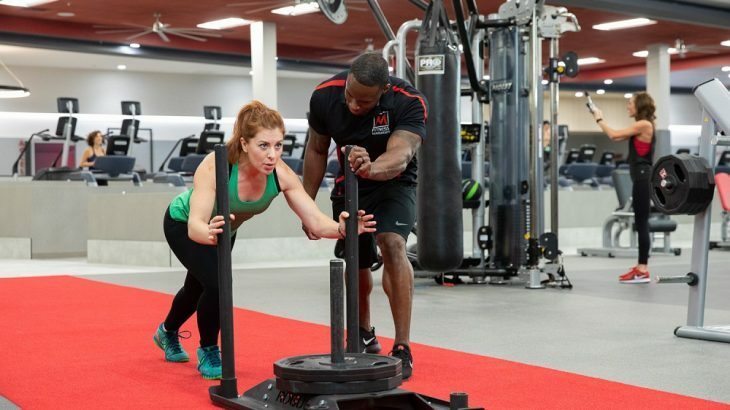 Our personal trainers, group fitness instructors, and staff are eager to answer all your questions.